We all have been decorating Christmas trees from a long time now. We like to see the beautiful and lavish Christmas trees and enjoy the look of the same. Have you ever wondered how the concept of Christmas tree came up? Let us now see the history of Christmas tree so that you can make Xmas special and enjoyable for your kids and/or family. Even before the modern concept of Santa Claus or Christmas tree came up, people used to cherish the concept of green trees that would stay green all across the year. They would use the leaves of these evergreen trees and hang them on the doors and the windows of the house. They would believe that doing this would keep the witches and the evil spirits out of the house. This was a popular concept all across the world and especially in those parts of the world where snow would cover all the trees and plants. In the olden days people used to worship the Sun as god and even in the Orient, Surya Dev or Sun Lord was an object of worship. They would say that in the winters the god falls sick as a result snow falls. The longest night of the year falls on 21st or 22nd December and it s called the winter solstice. The people believed that after this night the sun god will become all right again and he will drive away the winter. This is why they would celebrate this day. They decorated the houses with green leaves and thought that the Sun God will bring greenery again. This was a common practice in Egypt too. The Egyptians called the Sun God Raa. They celebrated this day as victory of life over death and decorate the houses with green leaves. Even the Romans would do the same. They celebrated as they knew that the time for orchards was coming. A similar practice was seen in the Northern Europe. So far we have explained how green trees and their leaves were always used in the houses and were considered auspicious. We will now discuss how the modern concept of the Christmas tree came up. Well it was the Germans who first came up with the idea of the Christmas tree. It was in 16th century that the Germans started the concept of Christmas tree. The Christians would cut fir trees and place them in the house. The fir trees were considered to be very auspicious and a symbol of god on earth. They would decorate these trees. Some also make a Christmas pyramid that was made with wood logs and were decorated with green leaves, candles, etc. It was Martin Luther who first added candles to the Christmas tree. It is said that one night while returning home he saw some stars that could be seen from the gaps of the evergreens. He came home and created the same scene for his family. He used candles for the stars and wires to make branches of the tree. He told the story of Christ’s birth to his children using this Christmas tree. The scene was so beautiful and magical that it became a custom post that to use candles on Christmas tree. 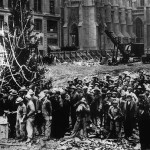 The first Christmas tree that was made in the USA was in 1830 in Pennsylvania. This was made by a German settler. The Germans used to decorate these trees in their homes and they just continued the traditions. The concept was readily accepted by the people of USA and it became more and more popular. In 1846 the concept the Christmas tree reached the UK. The Queen Elizabeth and her family were sketched around a Christmas tree and since then the concept became popular in this part of the world. The Germans used nuts, apples and even berries to decorate the Christmas trees. Sometimes even pop corns were used to decorate the Christmas trees. The Germans also started to get the Christmas tree decoration items into the USA to decorate the tress by 1890. These ornaments also became popular among the people of the USA. The Germans had Christmas trees that were about four feet in height. The people of America made the Christmas tree more extravagant and their Christmas tree would be stretching from the floor to the ceiling. As years progressed so did technology. The Christmas trees were decorated with lights as electricity came in. Nowadays even artificial Christmas trees are used and almost every year new ideas are introduced to decorate the Christmas tree. The gifts are place under the Christmas tree. The family members stand around the Christmas tree and pray. The Christmas tree today has become an international obsession. People all across the world buy and decorate the Christmas trees. They can be seen in the houses, offices and even in shops. They add to the festivities. The Christmas tree has become an integral part of the Christmas celebrations today. We cannot even imagine a Christmas without the Christmas tree. Today the most popular trees that are used are Douglas fir, Scotch pine, Fraser fir, Noble fir, Virginia pine, white pine and Balsam fir. Where to Buy Christmas Tree? Actually this is a question which is not easy to answer especially on a global platform, and the best bet would be to buy a good tree available in the nearby market. however there are several online stores which ship and sell Xmas trees and you could try that as well. Otherwise its just a question of your personal choice and budget and you could simply search for some good looking tree within your budget and order it online as well. The festive season is here. Mention of December means holidays and Christmas. 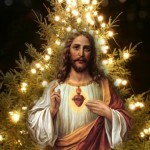 This article on history of Christmas tree is a tribute to this magical tree that makes the Christmas so special for us. Next time you see a Christmas tree perhaps you will be reminded of how the concept came up. We hope that this year too you will have a great time decorating the Christmas tree and have a wonderful Christmas.